Give him time to wind down after work. 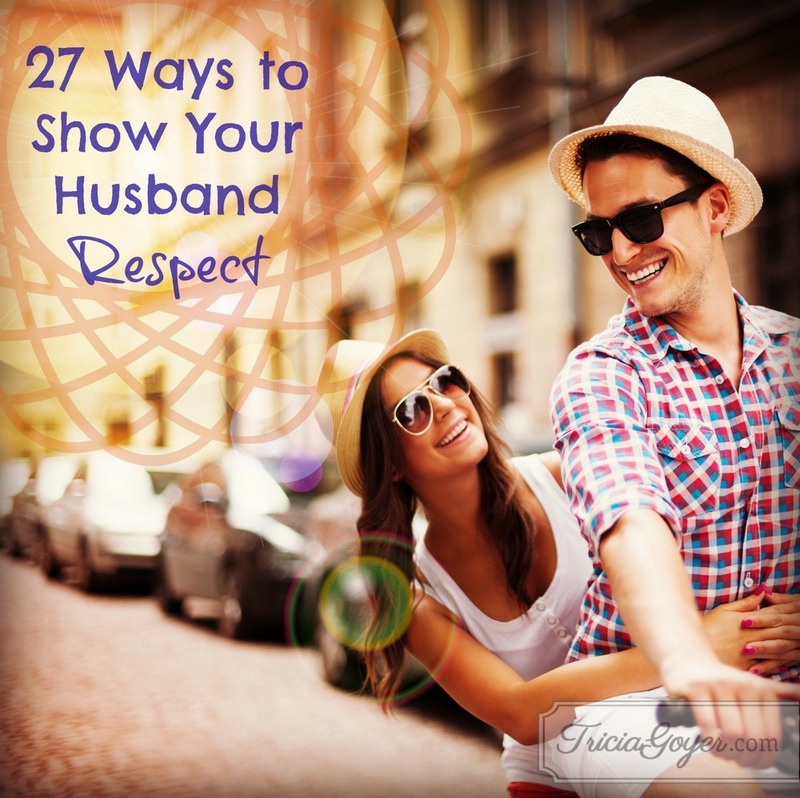 The remaining ways to show your husband respect can be found on For The Family, another blog for which I am honored to write. I’m excited about my marriage. I love what God is doing with us. I love giving my husband the respect he deserves. Every day I pray and ask God to show me more ways to show my husband respect. Maybe by this time next year I’ll have a list of another twenty-seven. I hope so! Great list! Respect is so important for our husbands. They crave respect the way that women crave love! I would recommend women take your list and talk to their husbands about it. Ask them which ones would mean the most to them. Knowing my husband, #1, 2, & 3 don’t mean much to him… where #4-13 are HUGE!!! Yes, Michelle! It’s so important to know what our husbands appreciate the most!